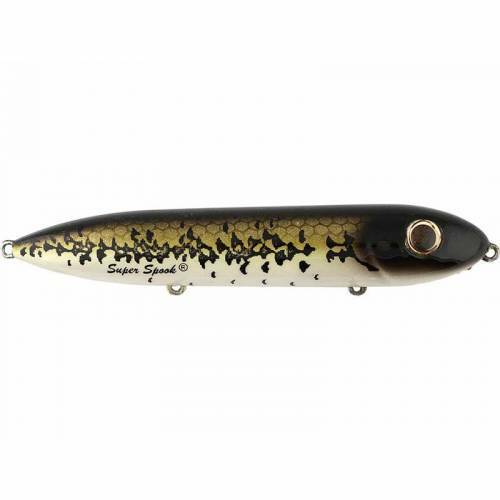 Heddon Super Spook - Baby Bass. Effective topwater lures feature eye-catching colors & light reflective finishes, loud rattles for more attraction and three super sharp Excalibur rotating treble hooks. Glides back & forth on slow retrieval and splashes loud on fast retrieval. 5" Length. 7/8oz weight. #4 hooks. Assorted colors available.